Instructions: Press fire to shoot boss. Your HP bar is to the left. The boss has an HP bar to the right. Evade the boss mass cannon and fireballs. When you have depleted the bosses hit points a new round will ensue! Each round has a new boss with increased attributes including size, speed and movement pattern. If all your HP is depleted the game will end. 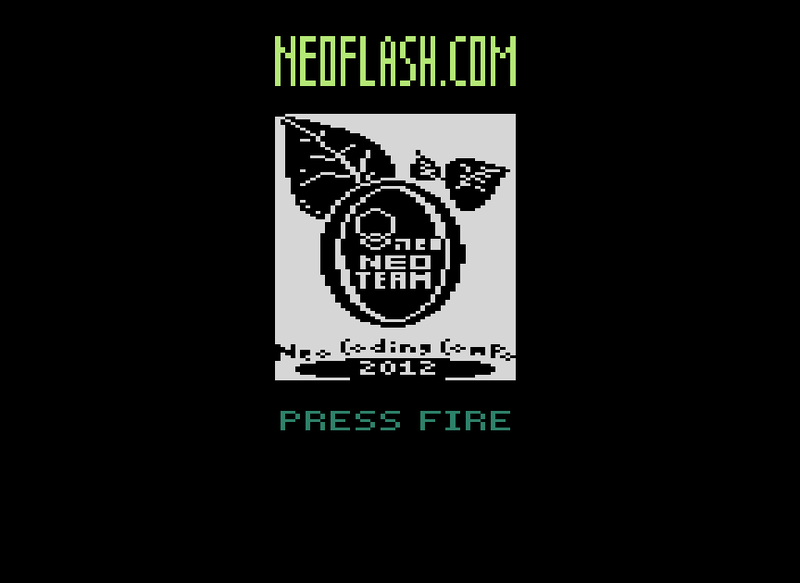 Press fire at game over screen to begin a new game. 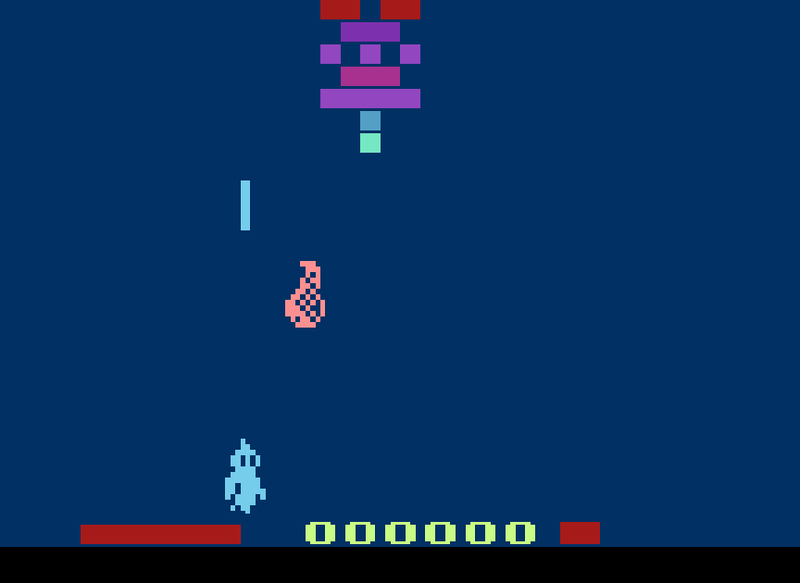 Cyber Willy was the one and only Atari 2600 entry for the NEO Compo 2012. Due to illness and other obligations it ended up being developed over the span of one weekend. The general concept was to distill the essence of a boss rush shooter into a 16k game. In this respect I think I succeeded. The player may move horizontally and rapid fire is enabled. Atari joysticks usually give me cramps and the less repetitive motion injuries the better. The bosses hit point are displayed on a red bar far right of the score. It is a bit hard to ascertain how damaged the boss is due to only 8 increments in its life bar. I’ve also heard confusion over what the player is supposed to be. Space penguin? Ghost? It’s a passable sprite for Atari 2600 standards but kinda obtuse. Due to time and storage constraints music is restricted to the title screen ditty. As the Atari 2600 cannot produce normal tones I’m pretty satisfied with just a short bit. The shots the player launches and the boss laser cannons can get repetitive. Depending on the boss AI it can sound like it’s grinding his own FIRE button! Every boss has slightly different attributes. The most fearsome are bosses with many heads/cannons. I’ve personally never gotten past a boss with 5 cannons before. The combination of lingering laser cannons and guided meteors can be frustratingly deadly. Overall this is a good no-frills shooter for the Atari 2600. As most titles of this systems era there is no end! The only limit is your skill and patience.